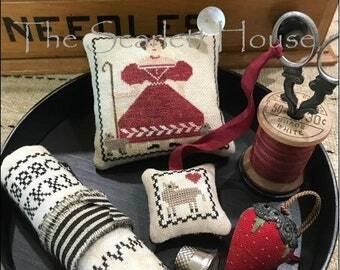 This listing is for the Queen of the May 2019 pattern ONLY and does not include threads, fabric, or other supplies. Hands Across the Sea Samplers is pleased to present to you Queen of the May for the year 2019 ~ a 60-page limited edition release celebrating the Kings and Queen of Great Britain. HATS is pleased to present to you Lucy Navier 1818 our Queen of the May for the year 2019. A limited edition 60 page booklet in full colour with an extensive stitch guide. Each year they will be choosing a sampler from their collection which they consider to be not only beautiful but outstandingly so and worthy to be crowned our Queen of the May. May Day and the crowning of the Queen of the May has deep mythological roots in English culture going back to our European ancestors and even to the ancient Classical world. The May Queen was chosen, for her beauty, from the pretty girls of the village to reign over the May Day festivities. Crowned on a flower covered throne, she was drawn in a decorated cart by young men or her maids of honour to the village green where she was set in an arbour of flowers. Through the ages it has been many a young girl's dream to be chosen as the May Queen and today it is still considered to be a great honour to be crowned the Queen of the May. This striking pictorial needlework sampler was stitched in the Regency era, a period in time when romanticism, elegance, high society, art and literature flourished. A bucolic scene is dominated by a magnificent English oak tree set in the parkland of a Georgian house. A bucolic scene is dominated by a magnificent English oak tree set in the parkland of a Georgian house. A boy sits on the bank of a fenced pond and is fishing for his supper. To the forefront an out of scale hunting dog watches a modishly dressed girl stroll across the sampler past three lambs. The aloof cat stares regally at the observer in a way that only cats can deign to do. Above, a stunning meandering floral vine flanked by tassels hangs below an angel with spread wings. 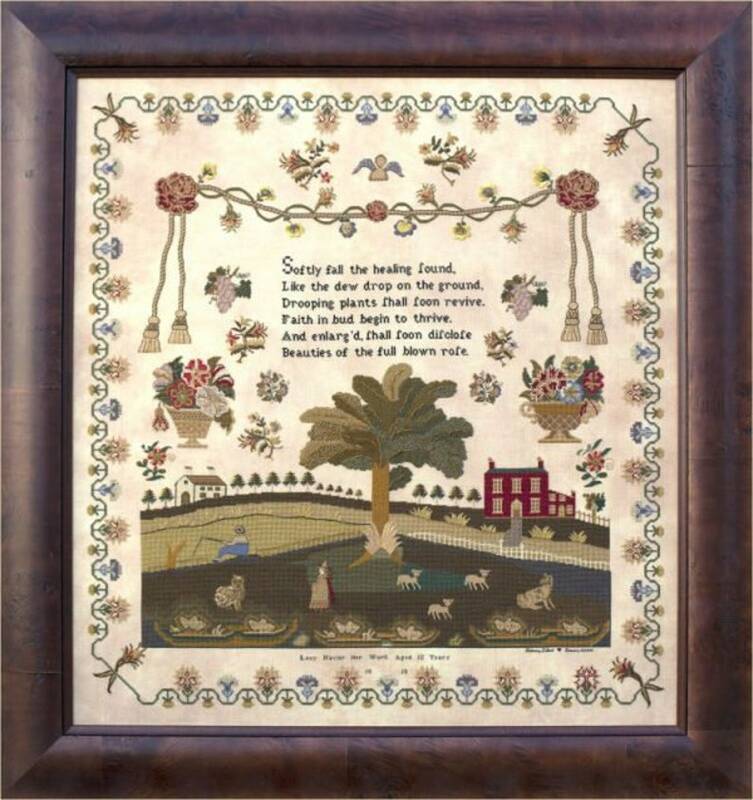 The verse Lucy chose to include in her sampler is a particularly uplifting and positive one and was taken from the hymn “Source of Light and Power Divine” written by Augustus Montague Toplady. He is best remembered as the author of the hymn “Rock of Ages.” The sampler was executed with great care and skill in a variety of stitches (see stitch guide for full details) from a palette of 26 glorious shades of silks on linen ground. “Lucy Navier her work Aged 12 years 1818” has been reproduced from a sampler in the private collection of Nicola Parkman. 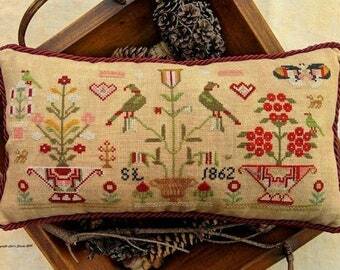 The sampler was acquired from Witney Antiques by her husband as a Christmas gift several years ago. 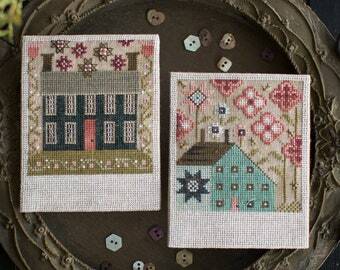 Beautiful soft palette of 26 colours the sampler has been reproduced using AVAS. 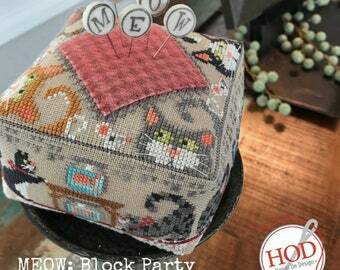 A NPI, Inc. silks and DMC cotton conversion is provided. 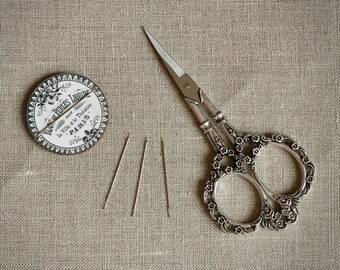 :: stitch count: coming soon! Order arrived early. This is a limited addition so was great to be able to pre-order and then know that you will be sure to get a chart. Easy to communicate with the owner and questions are answered quickly.